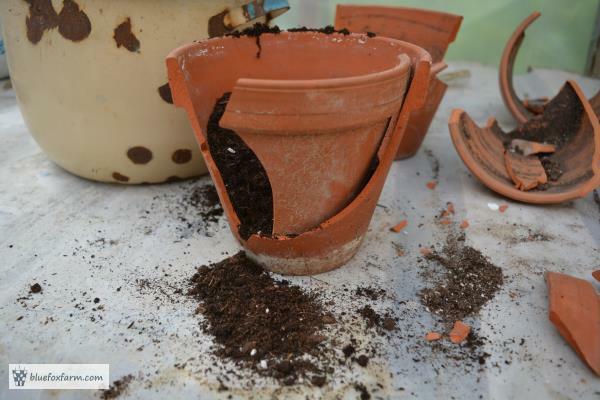 Most likely, you've got a few terracotta clay pots hidden away gathering dust under the greenhouse bench. 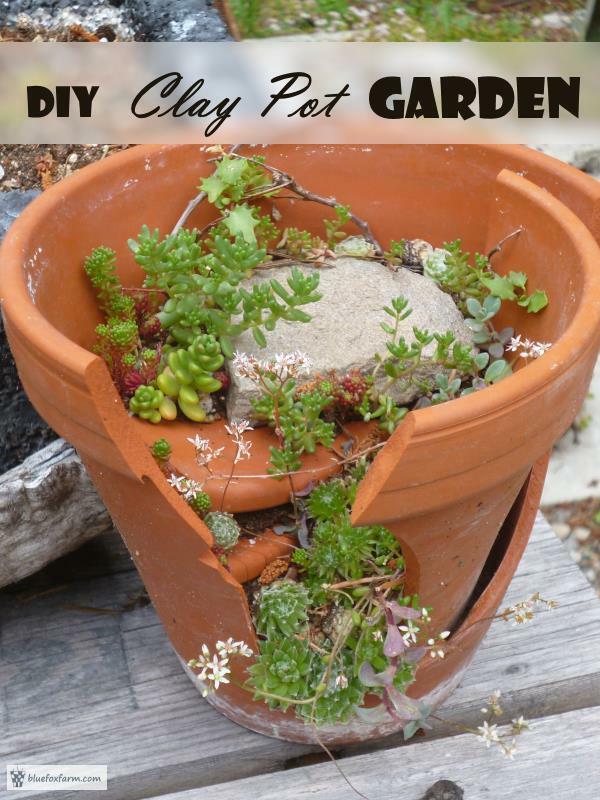 Dig them out, and make your own fabulous fairy garden! 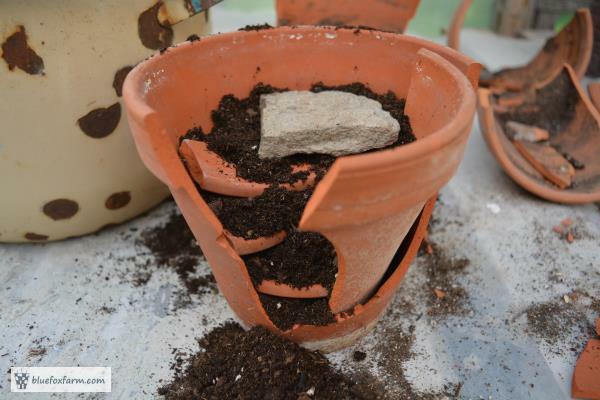 If they're already cracked or broken into shards, so much the better. That just saves you the step of breaking the pot. This method of 'terracing' is perfect to add more dimension to the garden - steps, paths, patios - all sized for fairy feet. There are lots of options if you have a shallow bowl or even a plant saucer. These are fine, even if they don't have drainage holes, but don't leave them out in the rain for long. The roots of many plants can't stand to be waterlogged. Moss is one of the best plants for carpeting the soil, and making it look just like a grassy area. Lightly mist this for best results, especially during dry periods. Or, let it go dormant until the fall if that works for you. 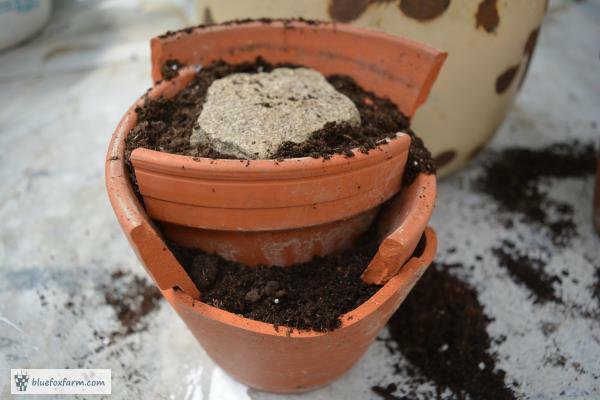 The best soil for a terraced fairy garden is something that has a water holding polymer in it - there is no way to get it wet again once it dries out. 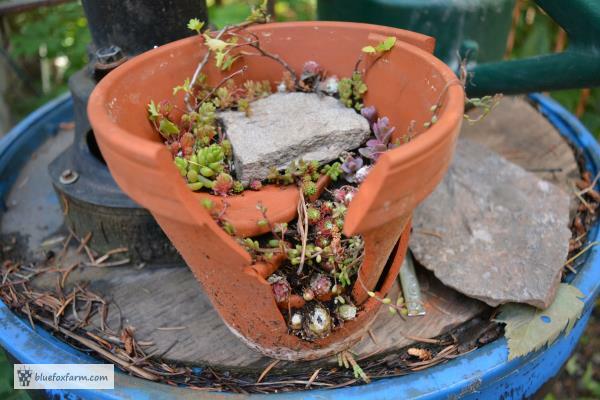 If all you have is smaller species of hardy succulents, use those for a great display - with the added advantage of it surviving the winter. With all that drainage, these make the ideal plants for something that doesn't hold any moisture.